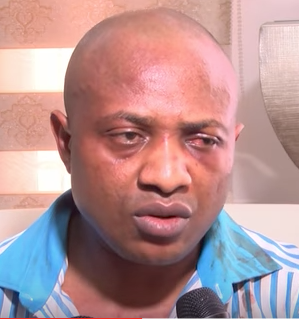 The media trending, suspect and arrested kidnap kingpin , Chukwudumeme Onwuamadike , in Sobriquet ‘Evans’ in an interview with the channels Tv on Sunday dissociates self from filling a suit against the police force and other security agencies in the country. He said it is another attempt by some people to put him in more trouble. According to him, ““I have no hand in any case filed against the police and I did not speak with any lawyer or my father to fill a case on my behalf. All I will say is that they should temper justice with mercy,” he said. Recall that Evans was reported on the 28 of June 2017, dragged the Inspector-General of Police, Ibrahim Idris and three others before the Federal High Court in Lagos over alleged illegal detention. However, in the rights enforcement suit filed on his behalf by a Lagos-based lawyer, Olukoya Ogungbeje, Evans is praying for the order of court to direct the respondents to immediately charge him to court if there is any case against him in accordance with Sections 35 (1) (c) (3) (4) (5) (a) (b) and 36 of the 1999 Constitution of the Federal Republic of Nigeria. In the alternative, he is praying the court to compel the respondents to immediately release him unconditionally in the absence of any offence that will warrant his being charged to court. Evans is further contending in the suit that his continued detention by the respondents since June 10, 2017, without being charged to court or released on bail is an infringement on his fundamental human rights. Evans equally disclosed that even if the police release him, he is not free to go as his victims could not wait to get ride of him. The Federal High Court in Lagos had on Friday dismissed the suit filed by the said lawyer Olukoya Ogungbeje.